Ram Is Planning To Charge How Much For Its F-150 Raptor Rival!? Question is whether people will pay up. We’ve always been huge fans of Ram pickup trucks. They just have this killer and totally unique front-end look and, not to mention, that optional Ram Box for hunting rifle storage. 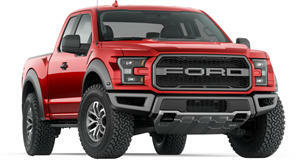 But when it comes to the ultimate extreme off-road truck, there’s only been one choice: the Ford F-150 Raptor. Last January, however, Ram revealed its long awaited Raptor fighter, the Ram Rebel. From what we can tell based on its specs, it won’t pack quite the same punch as the Raptor, but it’ll still be an impressive thing nonetheless. But how much will it cost? 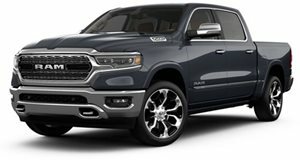 According to a member of the Ram Rebel forum who inquired at a few dealerships, the cheapest Ram Rebel will cost $44,720, but that’s with the 3.6-liter V6. Upgrading to the 5.7-liter Hemi V8 adds another $1,150. The ZF eight-speed automatic gearbox costs another $500 while four-corner air suspension adds $1,695. There are even more options to choose from which, obviously, boosts the price even further. All in, you’re looking at around $51k. Now, this pricing is very similar to that of the outgoing F-150 Raptor. What Ford will charge for the redesigned model is still unknown. But what if the new Raptor is priced roughly the same as the old one? Would you even bother looking at the Ram Rebel in that case?